A Beekeepers activity, throughout the year, mirrors that of the bees. Busy with activity in the spring and summer we start to slow down in the fall and into winter. But there is still plenty of work to do for the Beekeeper in December. Generally, brood rearing has ceased. The queen will lay small batches of eggs periodically throughout the winter months. On warm sunny days, you might see bees taking cleansing flights or removing dead bees from the bottom board. The winter cluster is marvelously efficient. Our scale hive typically loses only a few pounds the entire month of December. The weight loss accelerates rapidly in February and March as brood reading begins in earnest. December’s work is not “in” the apiary, but instead in the workshop or home. If you have any dead-outs, now is a great time sort comb, clean and repair equipment, consider why they died, and contemplate what you might do differently next year. Now is also the time to order and/or build any new equipment for next year. Spring always catches us by surprise. There is nothing worse than needing extra equipment and realizing it is sitting in the shop unassembled (or worse sitting in the warehouse at your preferred bee equipment supply house). Build and repair equipment NOW. It is always a good idea to have more than you think you need. Take advantage of the short day lengths and spend some time in a comfy chair, warm by the fire, catching up on your reading. Are there any books you haven’t read? Back issues of the American Bee Journal? This is also a good time to review your notes from the last season. Think about what you did and what you didn’t do. Is there anything you would do differently next year? Make a plan. Will you make increase? Will you build nucs to keep on hand as a repair kit? Will you raise any queens? Buy any queens? The best beekeepers I know are always thinking two steps ahead of their bees. If it is winter and you are thinking about winter, you are behind. You need to be thinking about spring. Speaking of which, now is also time to think about ordering nucs, packages, and queens. Many suppliers sell out every year, which means the earlier you get your order in, the higher up on the list you are. This is probably one of the most challenging aspects of beekeeping. “Why would I order replacement nucs now? I don’t know if I have lost anything yet.” It’s true, but unfortunately, If you wait until you know, it is typically too late. If you decide to take a sunny day’s excursion to the bee yard, it is best to leave them alone. If curiosity gets the best of you, here are a few things you can do. Heft the back of the hive to feel for weight. 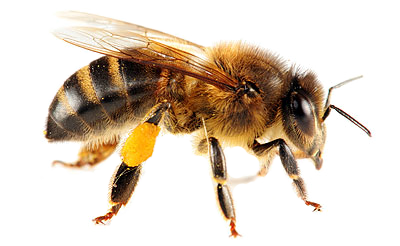 If hives are getting light, consider giving them fondant or dry sugar on top of the cluster as an emergency ration. Are they still alive in there? It is best not to look, but if you really need to know, put your ear to the side of the hive and give the box a couple of firm knocks. You should be able to hear a buzz resonate through the hive. Have a great winter, Happy Holidays and Happy Beekeeping. 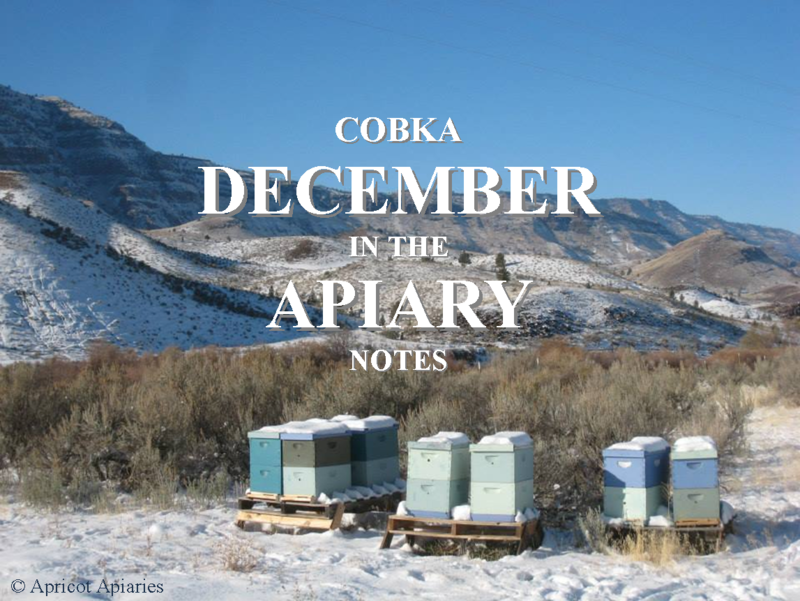 Many thanks to Matt from Apricot Apiaries for these December notes! !